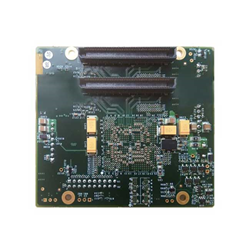 MilSource today announced the availability of Techaya’s MILTECH 9136, the industry’s only military-grade, managed gigabit Ethernet switch on board (GESoB) that supports up to 52 ports on a 3.4” x 3.4” foot print. The MILTECH 9136 is ideal for managing and switching large quantities of network-enabled devices in aerial and mobile military applications, with 24 1G ports of plug and play copper, 8 ports 1G SFP fiber, 4 ports of 10G SFP+ fiber, and 4 QSGMII ports for an additional 16 1G fiber interfaces. Recognizing the rapidly increasing demand for VICTORY-compliance in military vehicles, Techaya delivers support for both Synchronous Ethernet (SyncE) and IEEE 1588 standards for time and frequency alignment across devices on military networks. Advanced network features include static routing, VLANS, traffic prioritization (QoS), bandwidth aggregation, and security at both port and board level. The MILTECH 9136 is designed for easy integration on to any communications backplane. Thirty-six (36) of the ports are plug and play, with an additional 16 ports available by connection to a backplane to integrate with external PHYs. A conformal coating enables the MILTECH 9136 to stand up to extreme vibration and environmental elements and it is rated to work in temperatures from -45C to +85C. It complies to MILSTD-810F/GM and MILSTD-461E when housed in an appropriate enclosure. For more information about the MILTECH 9136, or other MILTECH products, please visit MilSource at http://www.militaryethernet.com.